Biological manufacturing of complex compounds often requires the synthesis of many intermediate products. Production of these intermediates is currently triggered by inefficient methods, such as chemical inputs (tetracycline, estrogen-analogs, arabinose, etc) or drastic changes to the cellular environment (pH, oxygen levels, temperature, etc). 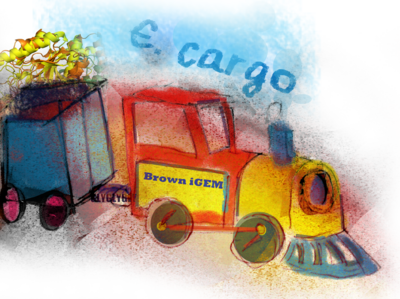 On an industrial scale, this chemical induction requires large quantities of reagents and extensive purification, while environmental induction requires conditions that can adversely affect cell vitality and yield. 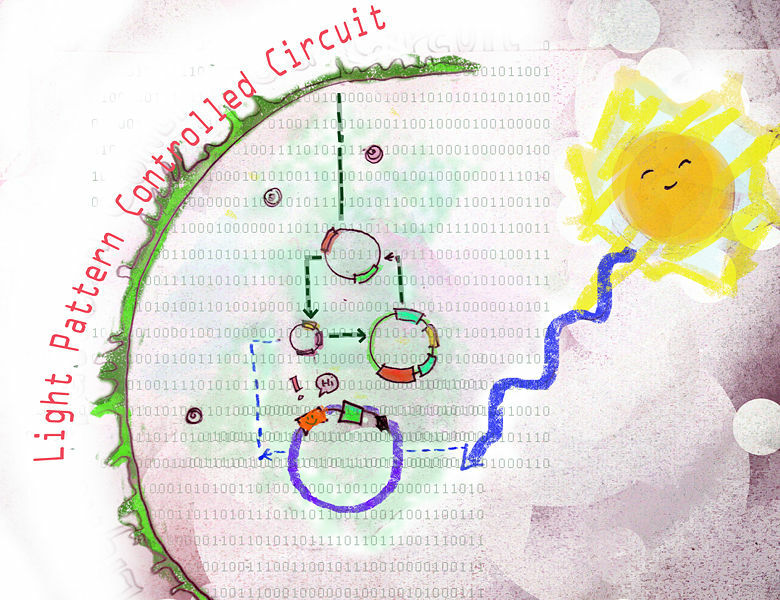 To this end, we are engineering an E. coli genetic circuit that can pass through four stable states of protein production triggered solely by ON/OFF patterns of light. With this production method, we can link multiple synthesis steps to a single, clean and rapidly scalable input. We designed a modular Tat-Linker Biobrick that will allow for easy fusion of the Tat-PTD to any other biobricked proteins. Specifically, we aimed to fuse this Tat-Linker in RFC25 format to two bacterial transcription factors, LacI and AraC, with the intent of using the two Tat-TFs as a tool to induce transient gene expression in E. coli without the need to follow through with more time-consuming cell transformation protocols. To test these Tat-TFs, we designed corresponding reporter constructs. We saw a potential application in the portion of the Light-Pattern Controlled Circuit of our project, as well as in any other future genetic circuits that require part-by-part testing.